Mitsubishi Engine Overhaul Gasket & Seal Kit for Minicab U18T/U19T/U41T/U42T 6 Valve 3G83 660cc Engines. 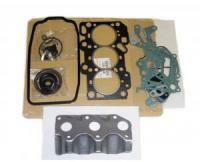 Includes all Gaskets and Seals required for rebuilding your Engine. Include chassis number when ordering.